Shopping for a new Audi A3? An Audi A3 Quattro Premium Plus with Virtual Cockpit and blind-spot monitors is the best (relative) bargain, at right around $40,000. A luxurious alternative for Volkswagen Golf owners that are looking for a more prestigious ride without an appreciable increase in vehicle size, the 2018 Audi A3 soldiers on with minor equipment changes. Audi introduced the revised A3 line three years ago, offering owners the choice of three trim levels—Premium, Premium Plus, and Prestige—in either a four-door sedan, a two-door soft-top-convertible, or a plug-in-hybrid hatchback. 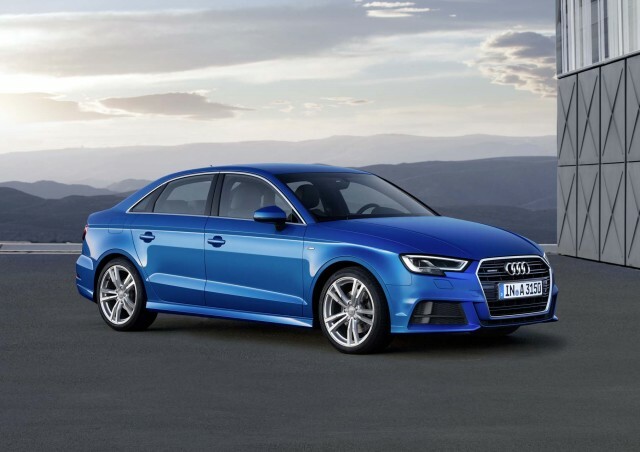 A sporty S3 (covered separately) joined the base model, offering sedan and convertible bodies and the top two trims. Modern Audi styling has been a case of who wears it better, with the A3, A4, A5, A6, A7, and A8 representing different sizes of the same outfit. In our opinion the tiny A3's proportions—the short, cute rear deck, compact cabin, and short wheelbase—complement Audi's clean, conservative overall design language. This is a clean, attractive car that's much more conservative than a Mercedes-Benz CLA-Class, but no less attractive from the right angle. Audi made its popular 2.0-liter, turbo-4 the A3's standard engine last year, although there are still two distinct power levels. Regardless of trim, engines in front-drive models produce 186 horsepower and 221 pound-feet of torque, while A3s with Quattro all-wheel drive get a 220-hp, 258 lb-ft version of the same engine. 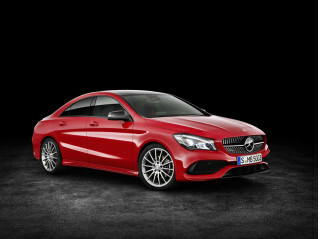 A 7-speed dual-clutch automatic is standard on front-drive A3s, while all-wheel-drive models use a 6-speed dual-clutch. The Audi A3 e-tron, meanwhile, offers a green alternative, with a turbocharged, 1.4-liter inline-4, a 75-kilowatt electric motor, and an 8.8-kilowatt-hour battery pack. 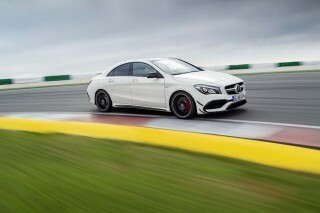 It produces 204 hp and 258 lb-ft of torque while returning up to 83 MPGe combined. Audi focused the A3's cabin around its impressive Virtual Cockpit. While the 12.3-inch display replaces a traditional instrument cluster, it effectively does the job of the traditional center display, integrating navigation, communication, entertainment, and vehicle data into a beautiful, unified housing. The A3 boasts impressive standard safety equipment, including forward collision warning and automatic emergency braking. Blind-spot monitoring with rear-cross traffic alert is available on mid-range Premium Plus and standard on range-topping Prestige models, while a rearview camera is standard across the range. The A3 has been rated as a Top Safety Pick by the IIHS. The A3 is available with two fewer doors and less one roof, if that’s what you’re into. 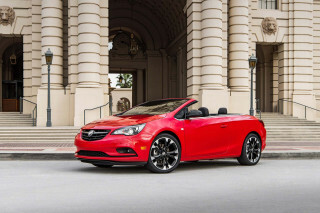 The tiny A3 Cabriolet's only real challenger is the underpowered Buick Cascada and larger, pricier German rivals like the Mercedes-Benz C-Class Cabriolet and the BMW 4-Series Convertible—indirect competitors include the 4-cylinder Ford Mustang and Chevrolet Camaro convertibles. The fabric roof drops into the trunk in just 18 seconds and at speeds of up to 31 mph, although that canvas top does cut into the sedan's already miniscule 12.3 cubic feet of cargo space, reducing the total figure to just 9.9 cubes. Attractive design that's so clean it's almost antiseptic. The A3 wears the same look as the rest of the Audi range, but somehow, this little guy wears it better than most. The look is complemented by shorter overhangs fore and aft, a smallish rear deck, an eye-pleasing treatment between the main and lower grilles, and a stylishly rounded roofline. But where the sedan's proportions lend themselves to Audi's design language, the Cabriolet's two-door body and convertible greenhouse fully embrace it—the A3 Cabriolet looks natural and adorable. Regardless of body style, the standard 17-inch wheels are on the small side while the available 19s aren't worth the sacrifice in ride quality. 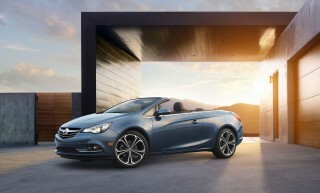 The 18-inch alloys, though, strike a perfect balance. We like the twin five-spoke design, available for $800 on the A3 Premium and standard on the Premium Plus and Prestige. The A3's cabin splits the difference between the forward-looking interior in the TT sports car and the contemporary layout of the rest of the Audi lineup. Deploy the pop-out infotainment screen, and the A3's interior looks normal-ish, but keep it folded in while driving, which Virtual Cockpit makes possible, and the clean effect of a screen-less dash is as striking as it is on the TT. Aside from the display, the simple dash is free of adornments outside the large, circular HVAC vents and a thin strip of trim and buttons that serves as the border between the dash and the climate controls. The 12.3-inch Virtual Cockpit sits stage left, behind a stylish, thin-rimmed steering wheel that is available in a traditional circle or as a flat-bottomed design, as part of the available Sport Package. A manual transmission would raise the score, but as it stands, the A3 is almost as engaging as non-sporty small sedans get. Front-drive A3s have a modest 186 horsepower and 221 pound-feet of torque and can hit 60 mph in 6.6 seconds, while moving to Quattro all-wheel drive boosts those stats to 220 hp and 258 lb-ft of torque and cuts the sprint to 60 to just 5.8 seconds. On front-drive sedans, the A3 gets a 7-speed automatic to keep it in the efficiency sweet spot. The A3's optional transmission when all-wheel drive is selected is a 6-speed dual-clutch automatic, and while we'd love to see Audi offer a manual gearbox on its most affordable vehicle—or at the very least on the sporty S3—the two-pedal arrangement is very good at anything above traffic-jam speeds, where it can feel slow to engage from a standstill. On a freeway or once in motion, though, upshifts and downshifts are fast and smooth, whether the car is in full automatic mode or the driver is using the standard manual mode. The steering is quick and direct and builds weight appropriately, giving the A3 a nippy handling character on turn-in. But an abundance of body roll, particularly around tighter bends, also makes this Audi feel larger and more substantial than it is. Simply put, the A3 has trouble hiding its nearly 3,400-pound curb weight, although it's still a charming drive in gently-curving, higher-speed settings. The A3 feels satisfyingly luxurious and of a high quality, despite its humble hatchback roots. The door panels feel solid and deliver a satisfying “thwump” when shut. The dash might be the only area due for criticism: while the injected plastic feels nice enough to the touch, there's just so much empty space that it's a little overwhelming. The buttons and switchgear have satisfying actions and are nice to the touch, while the MMI controls look lovely. If you're single or free of children, the A3 likely will be a fine choice. Its front seats—even without the Sport Package's upgraded seats—are comfortable and supportive and there's plenty of front seat leg and head room for taller drivers. Visibility through the small-ish rear window isn't ideal, though. The rear seats are suitable for adults, but only for short jaunts. Ditto for teens and ‘tweens. It should be suitable for smaller kids, but if you have a growing family, the A4 or Q5 are probably smarter choices. Road noise remains a concern, and is a prime reason to avoid the hefty 19-inch alloy wheels and their low-profile tires. The handsome 18-inchers don't transmit as much road noise, but they look every bit as good. The bulk of active safety equipment is limited to the A3’s top trims, but automatic emergency braking and xenon headlights as standard equipment makes up for it. 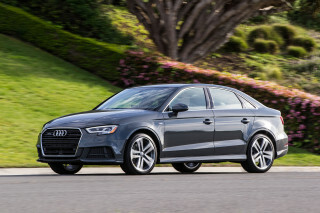 The A3 earns a Top Safety Pick score from the IIHS and five stars overall from the federal government's NHTSA. Additional safety equipment available on the A3 is limited to the top two trims. That includes adaptive cruise control, blind-spot monitoring, active lane control, and full LED headlights with automatic high beams. Each of those items is optional on the Premium Plus but standard, making the Prestige trim a tempting upgrade. Blind-spot monitors are available in the $3,000 Technology Package on the Premium Plus trim. Rear-side impact airbags are a $350 option across the A3 range. Audi is one of few automakers still charging more for airbags, which is outdated and counterintuitive. A healthy roster of standard equipment in three reasonably priced trims make the A3 an easy car to configure. Finally, the A3 Prestige starts at $41,100 and brings in advanced standard equipment like Audi's MMI infotainment system and Virtual Cockpit, LED headlights with automatic high beams, nifty dynamic LED taillights, adaptive cruise control with stop/go ability, a 14-speaker Bang & Olufsen sound system, and ambient LED interior lighting. The A3 Cabriolet mirrors the sedan's standard equipment and optional extras, aside from the standard leather upholstery on the base trim. 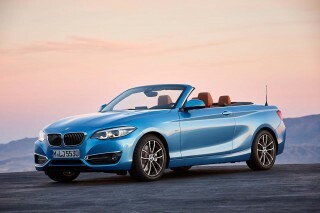 Adding the droptop carries a $6,400 premium. It's a similar case with the A3 Sportback e-tron, which makes the most minor of changes in terms of equipment. Keyless ignition with passive entry is standard across the plug-in hybrid range, although the rear-seat airbags are not available. Prices for the e-tron add $7,700 to the A3 Premium, $7,550 to the A3 Premium Plus, and $7,400 to the Prestige, although those figures don't factor in the $4,502 in federal incentives. Perhaps the coolest feature available on every A3 is the $3,900 Audi Exclusive paint option. If you really want Audi's entry-level vehicle to stand out this is the way to go. It gives customers access to a much broader than the nine standard colors, some of which add $575 to the price. All-wheel drive or a convertible roof require a small mileage sacrifice, while the e-tron remains the A3 line's fuel-economy champ. Meet the new Audi line—thrifty, gas-powered, turbocharged engines in one corner and a gas-powered plug-in hybrid in the other. Diesel is conspicuous by its absence. If you want absolute efficiency, the A3 Sportback e-tron is the only way to go, offering up 36 mpg combined or 83 MPGe with an all-electric range of 16 miles per charge. Despite that smallish range, it takes 8 hours to recharge on a standard wall outlet but can do the deed in just over 2 hours on a 220-volt outlet, like the Bosch home charger that comes standard. If the idea of wiring your garage for a 220-volt outlet and installing the charger is daunting, or you simply aren't interested in a plug-in, the front-drive A3 is the next best option—it returns 26 mpg city, 35 highway, 29 combined. 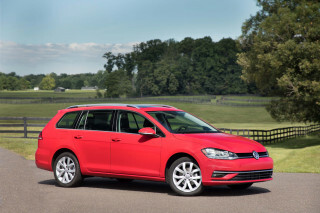 The all-wheel drive model is rated by the EPA at 24/31/27 mpg. 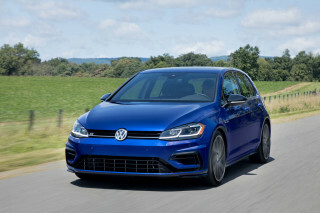 As for the heavier A3 Cabriolet, the front-wheel-drive model is down 1 mpg across the board, while the all-wheel-drive convertible returns 22/30/25 mpg, according to the EPA.